It was outside today, so Max and I went out for a walk. 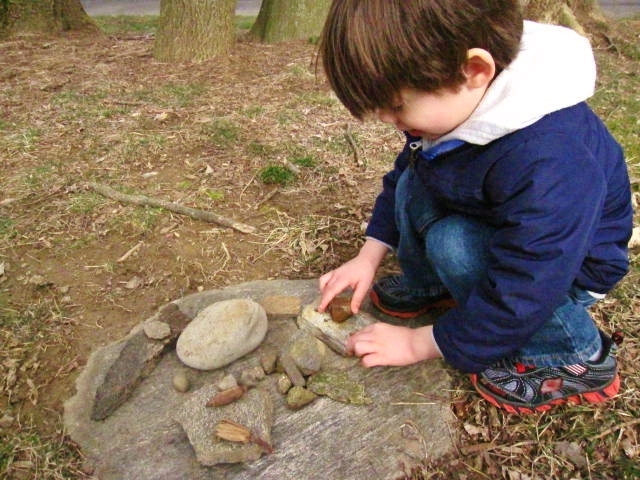 We found a big flat rock which he made into his “table” and he found his favorite rocks to make into food and plates. 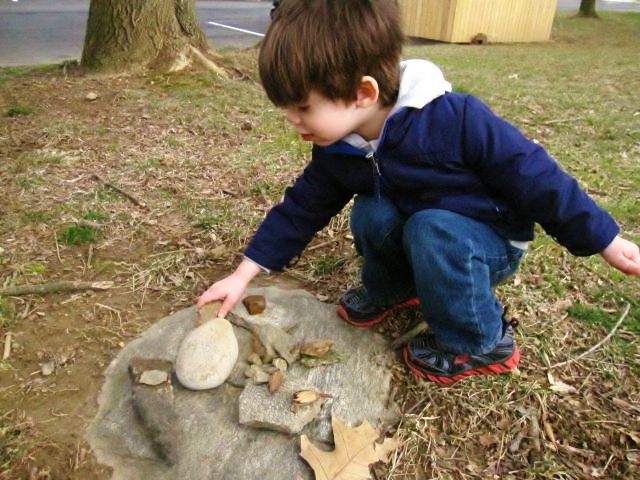 Tomorrow we’ll bring his favorite rocks inside to clean with the brush that Nana gave him. He just loves his rocks! 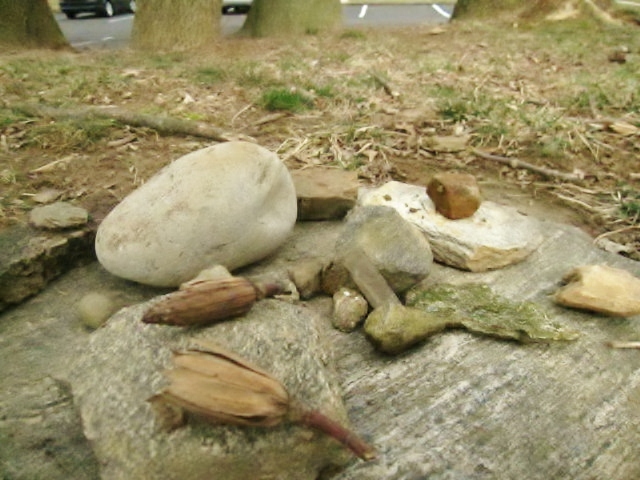 …and his sticks and leaves, too. Me too 😦 It was such a surprise to hear that you came up for Carter’s party. If you can eat butternut squash, this is another really good white lasagna recipe. It’s a little but sweet and savory at the same time. http://www.eatingwell.com/recipes/squash_leek_lasagna.html (omitting the pine nuts, of course). By the way, I had a really weird dream with you in it the other night. I’ll have to tell you all about it sometime!